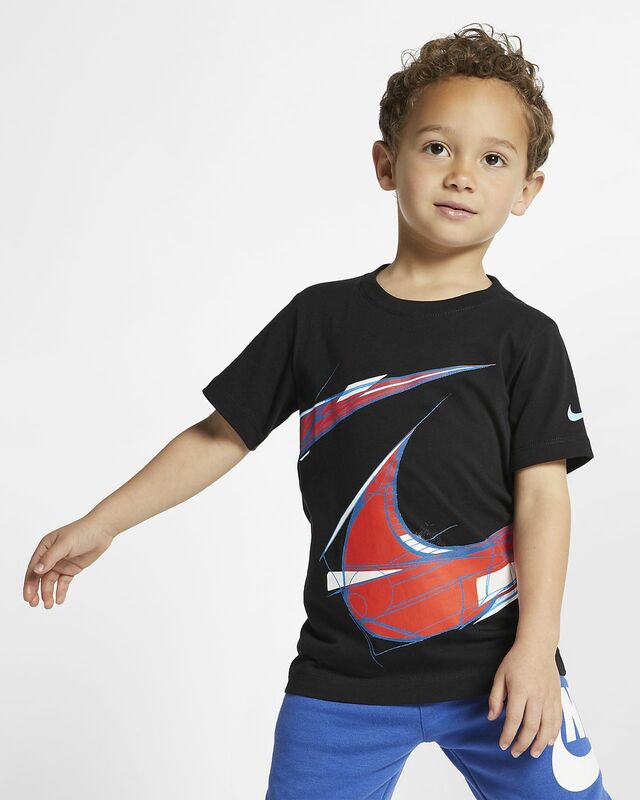 The Nike T-Shirt features a wraparound Swoosh design on soft, cotton-blend fabric. Fabric: Heathered: 60% cotton/40% polyester. Solid: 100% cotton.